Expected to make up at least 44% of the workforce by 2025. 91% say that a company’s technological sophistication will impact their decision to accept a job offer. 75% willing to start at the bottom and work their way up. 61% willing to stay 10 years at a company. 56% would rather write their own job description. 30% would take 10-20% pay cut to work for a company with a mission they care about. 78% prefer to communicate face-to-face. 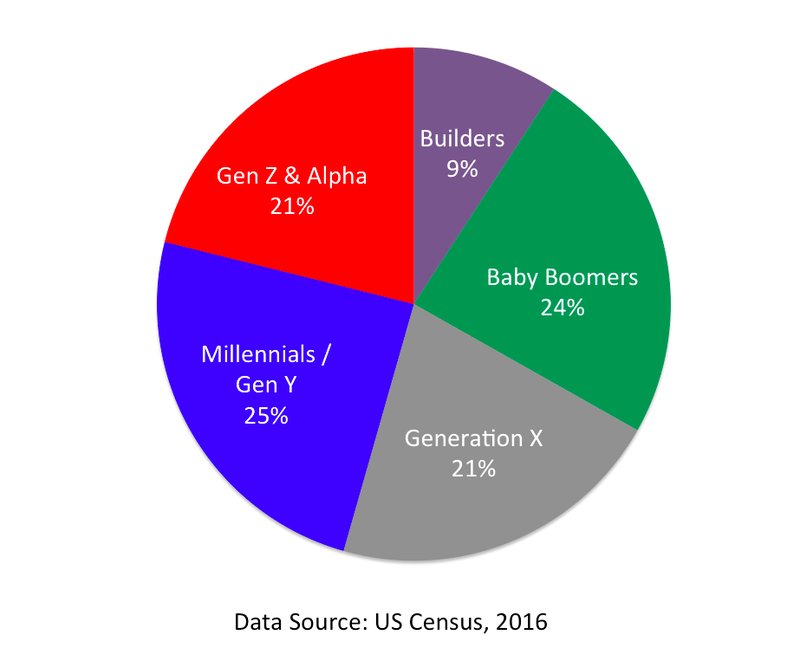 While this is a quick overview of generations, it’s important to note that these statistics are all big picture. Not everyone aligns perfectly with his or her generation. We must continue the intergenerational understanding and put stereotypes aside in order to support the needs and values of each generation at work and create a culture with engaged employees.